This high quality Natural leather cord from a USA supplier. 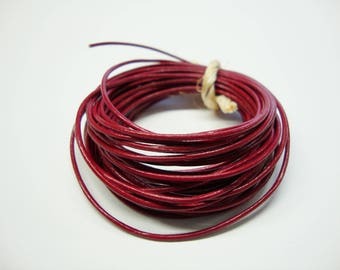 All dye used in these cords are certified lead free. Natural dye colors have a matte, distressed finish versus the shiny finish found in regular leather. 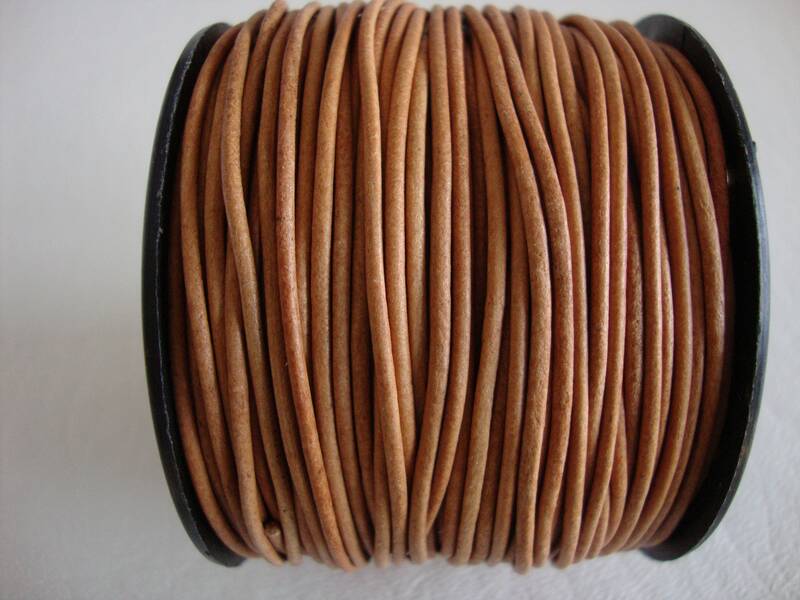 *The cord is cut from the center of the hide for the finest quality and consistency. Hides are only so big so eventually you have to join it to continue the spool. 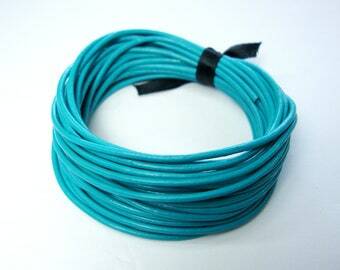 The cording I buy is knotted rather than spliced and glued (which creates weak spots). 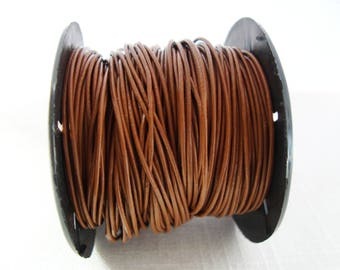 So you may find a knot in your cord. I do try to send a continuous length when possible or give you bit more to make up for it. 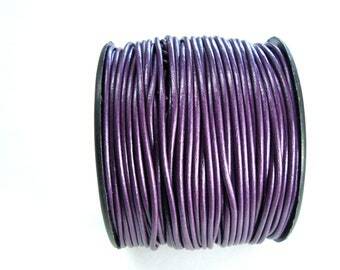 *The color of the cord you receive may be slightly lighter or darker than the cord pictured due to variation in dye lots. *Difference between your regular and natural dyes.. 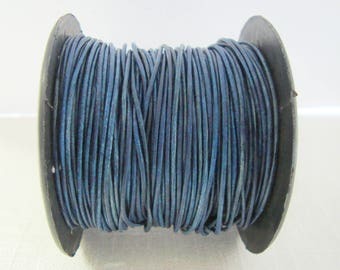 Regular dyes use a 3 part process where the cord is coated in dye, heat sealed, re-dyed, heat sealed, then finish coated. Natural dyes are an absorbed dye whereby the cord is dipped in the dye, the cord absorbs the dye, and then the cord is heat sealed. 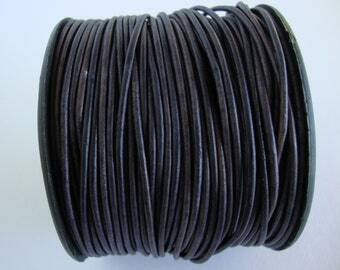 The dye is absorbed rather than coated so the cord is softer and more flexible than regular cord This process allows the natural color of the cord to come through. In some colors, it presents somewhat of a "tie-dye" look. 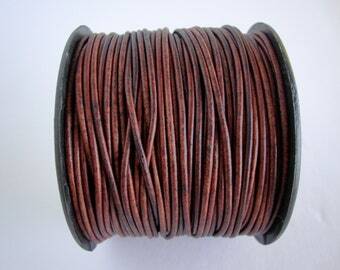 Natural dye colors are "flat" color versus a shiny color. 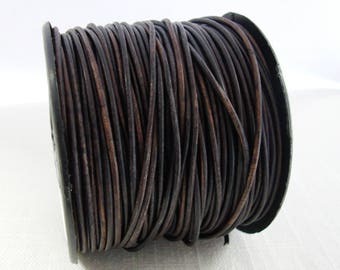 *There is an industry tolerance of +/- 0.3mm when manufacturing leather cording. 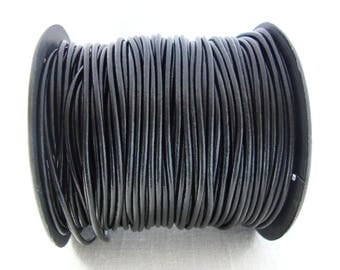 This would mean that a 1mm cord can be as large as 1.3mm or as small as 0.7mm. Also leather can expand or contract according to the climate, moisture, heat and/or how it is stored.